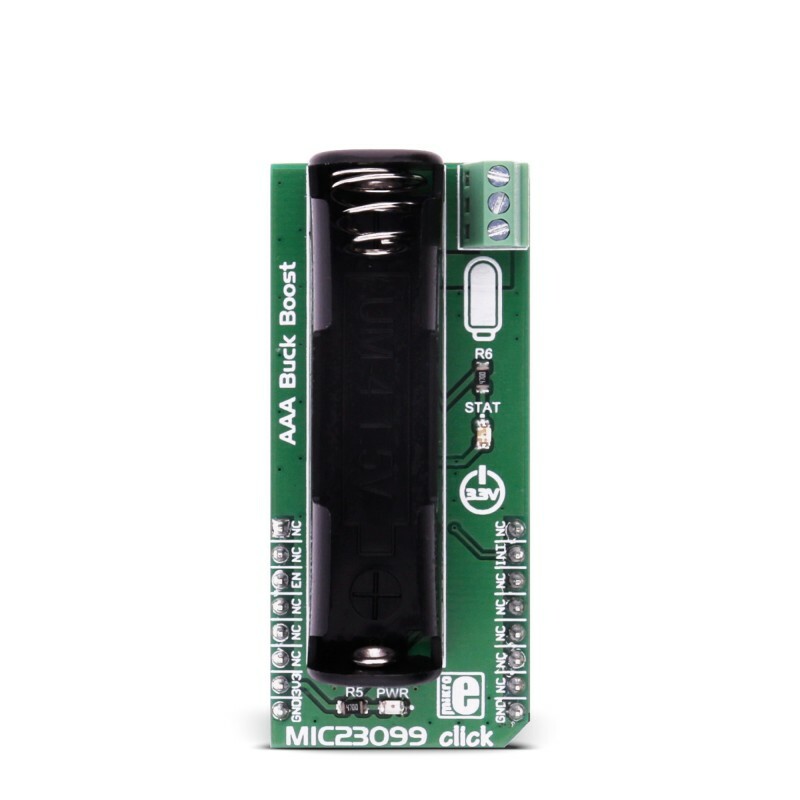 MIC23099 click has three screw terminals (Buck 1V, GND and Boost 3V3) which are outputs for connecting some external consumer. 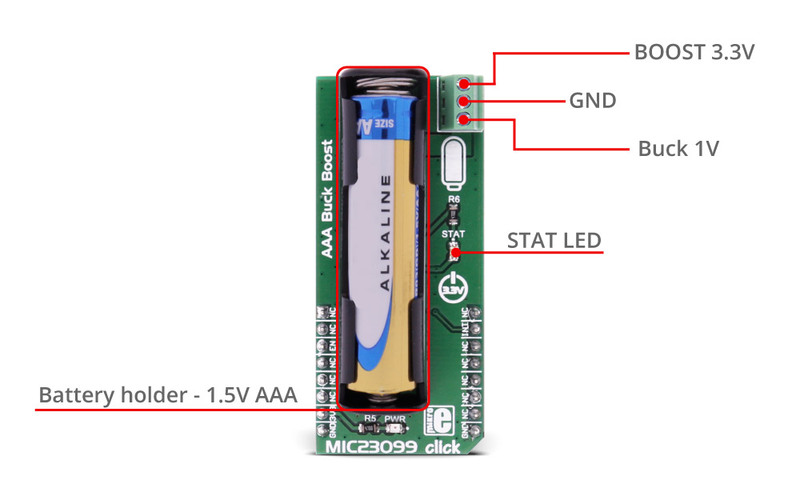 The low-battery level is indicated by an onboard STAT LED. 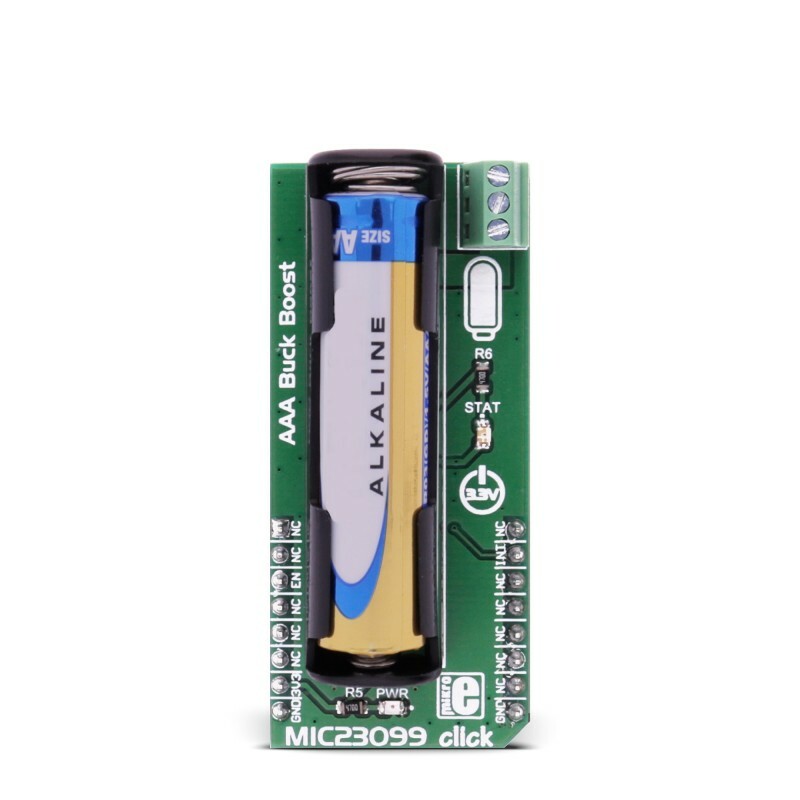 Note: The MIC23099 is not a battery charger and it needs a battery to work properly. The battery is not included. 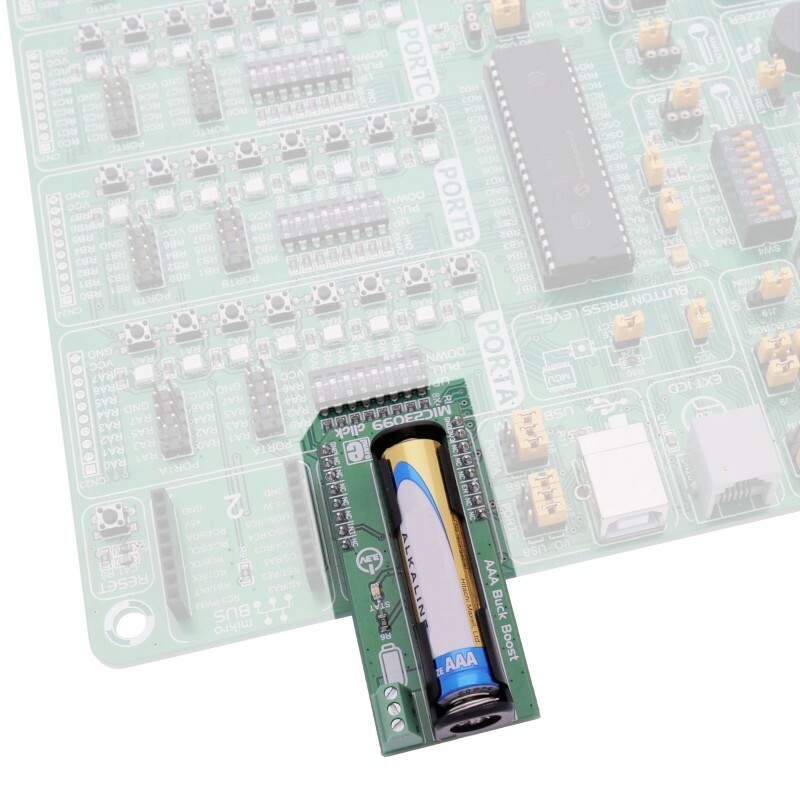 The MIC23099 is a high-efficiency, low-noise, dual output, integrated power management solution for single-cell alkaline or NiMH battery applications. To minimize switching artifacts in the audio band, both the converters are designed to operate with a minimum switching frequency of 80 kHz for the buck and 100 kHz for the boost. 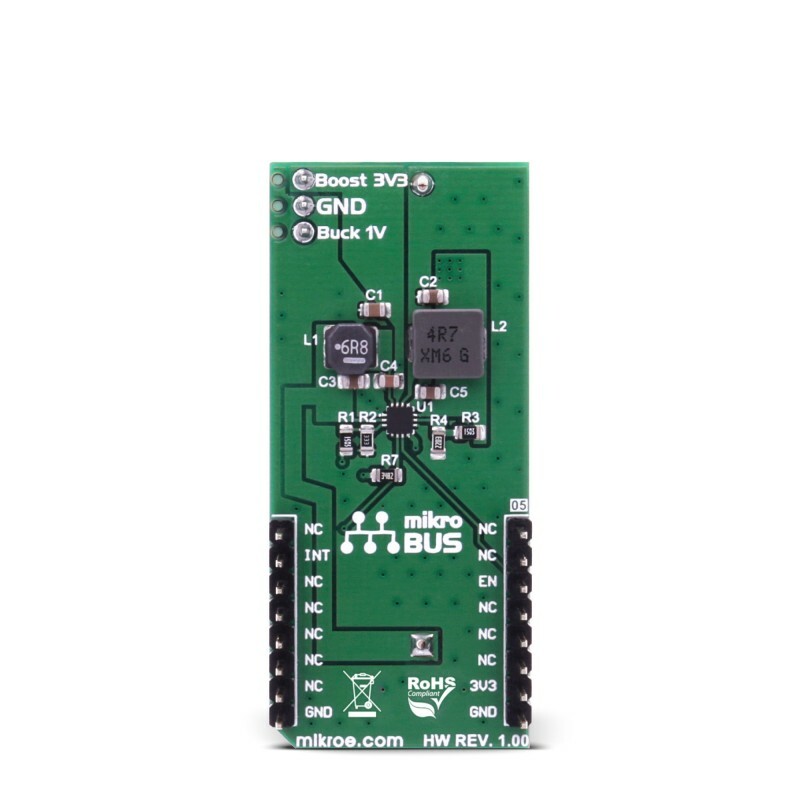 The high-current boost has a maximum switching frequency of 1 MHz, minimizing the solution footprint. The MIC23099 incorporates both battery management functions and fault protection. This table shows how the pinout on MIC23099 click corresponds to the pinout on the mikroBUS™ socket (the latter shown in the two middle columns). 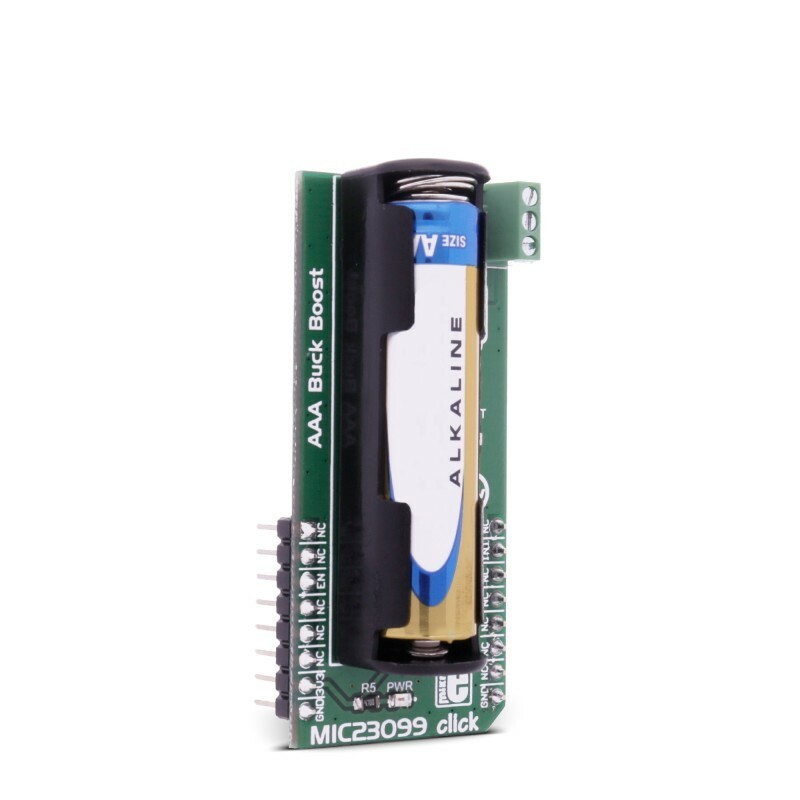 Code examples for MIC23099 click, written for MikroElektronika hardware and compilers are available on Libstock. 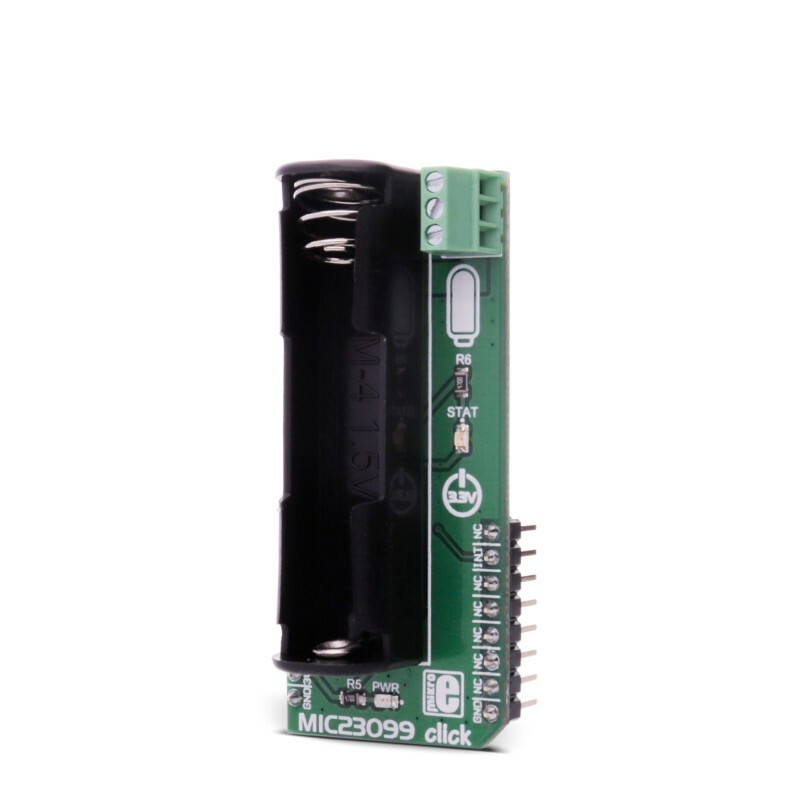 The following code snippet sets the EN pin to high, to enable the operation of this click.